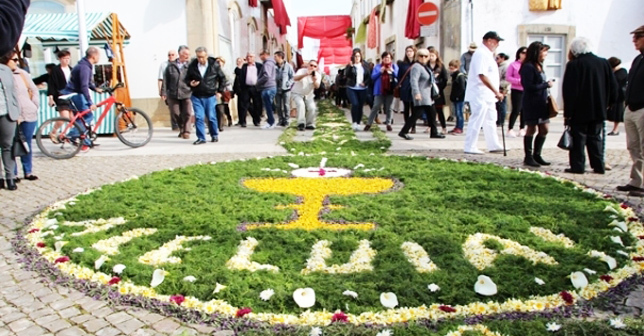 The initiative attracts thousands of national and international tourists, “who choose to live Easter in a vibrant and unique way in São Brás de Alportel”, in addition to the return of countless children born in São Brás, according to the local authority. 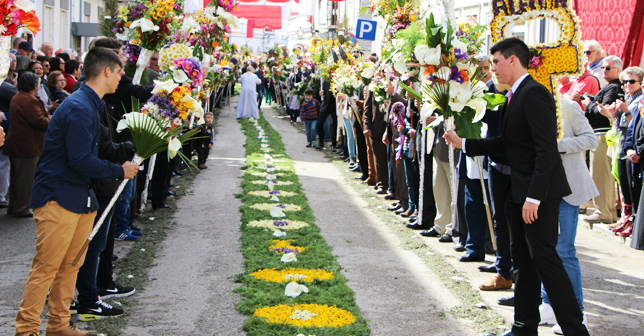 After a long night marathon, in which hundreds of volunteers set out on the arduous task of preparing the flowery carpets, the program begins at 9:30 am with the opening of the streets. From 10:00, the São Sebastião square hosts the Easter Flavors Meeting, while at the parish church there is a Craft Show. In the Mother Church, the Eucharist of the Resurrection begins, which precedes the long awaited Procession of Hallelujah, in honor of the Risen Lord Jesus, who motivates several generations of men from Brazil to wear the beautiful and original torches of flowers as they chant the traditional refrain: «He has risen as He said! Hallelujah! Hallelujah! Hallelujah!”. In the afternoon, starting at 3:00 pm, the Church of the Mother Church receives the Cultural Evening, a moment of lively conviviality with the handicrafts, sweets and snacks show, with the presentation of the winners of the Flower Games and the competition of the most beautiful flowery torches and with the performances of the groups: Fole’Percussion, Folklore Group of the Old Guard and Claudisabel. This unique party at a national level is organized in partnership by Associação Cultural Sambrasense, Parish of São Brás and São Brás de Alportel City Hall. In 2019, the Flower Torch Party is once again an accessible event. The municipality of São Brás de Alportel, Fisio S. Brás and the House of Rest and Health of São Brás adapt a space of the enclosure where the Procession of Aleluia passes, with logistic support in the monitoring and reserving parking areas to give better conditions to persons with disabilities who attend and attend this event.